And that was how I, a young nerdy girl of 11 years wanted to smell like. I came across a small 5ml-bottle of Sotto Voce a couple of years ago and trust me, I will keep it as long as I can possibly keep it. Sotto Voce opens up with very sparkly, almost candy like notes at first. I can't remember exactly what particular candy that Sotto Voce smells like (in my nose) but it's definitely something from my childhood. With that said, it is not super sugar like, cloying or the least bit annoying - it's just pleasant and sweet, like the feeling of having the first melting ice cream cone in spring. What comes next is a warm velvety feeling of energic tuberose, sweet peach and juicy plums. 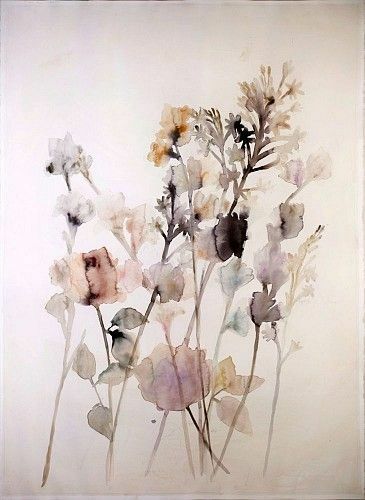 There are lots of other flowers in the composition and everyone of them adds some fresh sweetness to the scent but what my nose picks up, is especially the fruits and tuberose, the most shining and sultry flower of them flowers. What I enjoy the most of Sotto Voce might be the phase when it really starts to settle and just become one with your skin. The velvety feel is really starting to blend with the warmness of body temperature and the sandalwood, musk and vanilla are all making themselves known, like a big gentle hug. To me, there is some kind of gentle and elegant innocence to all the Laura Biagiotti scents. Like the first days of spring when everything finally comes back to life, the sun is out for more hours each day and you can start to dress more lightly with your ballerina shoes, soft scarfs or chinos, paired with a well fitted jacket and a new haircut. Or however you want to dress. It is all about what it feels like to take that first walk in the afternoon sun, when its warm enough to be outside and let the sunlight caress your face, how the first sips of prossecco tastes like in the your mouth...the scent of the first flowers that is starting to bloom and on it goes. Oh the sweetness of nostalgia and warm fond memories. One of the best things with Sotto Voce is that it is very easy to wear. It is nice without becoming boring or just plain office friendly (which to me is generally very very boring). The scent is not at all uptight or clean so I guess some individuals might consider it too sweet or too young. 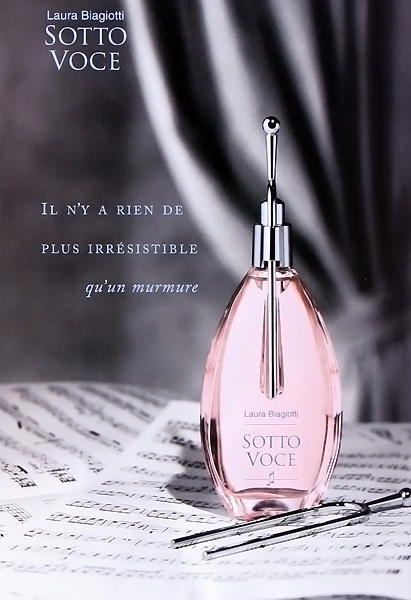 I am 33 and I don't feel too old for wearing Sotto Voce which is just awesome, since as we all know (or should know) - perfume do not have neither a gender nor an age.